The Rafto Foundation for Human Rights was established in 1987 in memory of Professor Thorolf Rafto (1922-1986), an iconic lecturer in economics at the Norwegian School of Economics in Bergen, Norway. Now, a little over 30 years on, one of a new generation of supporters, Jostein Hole Kobbeltvedt, is inspired to continue Rafto’s work. Kobbeltvedt joined the Foundation as Director last year after over a decade of working on international development issues and social activism around the world. Born in Bergen, he coincidentally met Rafto when he was four years’ old, long before he was inspired by Rafto’s unwavering commitment to support dissidents, the oppressed and the persecuted, but like many working for the Foundation today, he found Rafto’s legacy just as relevant today as it was back then. As well as running advocacy and education initiatives, the Foundation has awarded the Professor Thorolf Rafto Memorial Prize for Human Rights (the Rafto Prize) to a human rights defender every year since 1987. 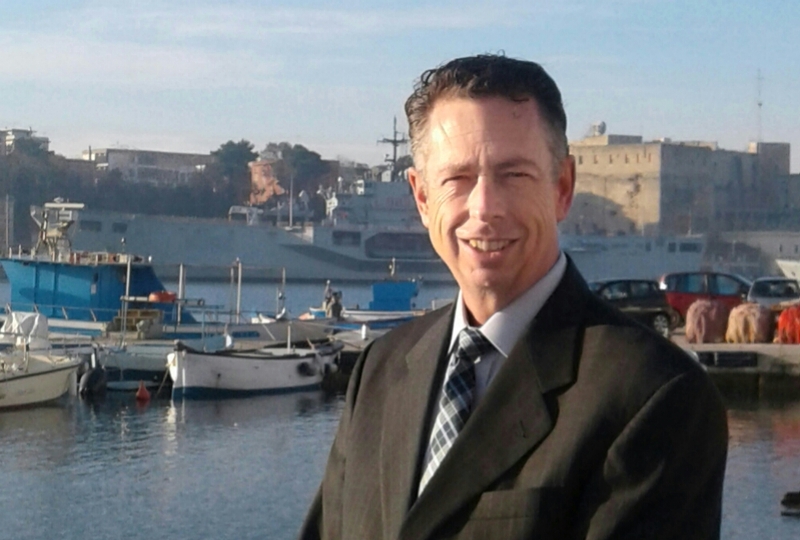 HRAS spoke to Jostein to see how the Foundation is moving forward and extending its operations into the maritime world. 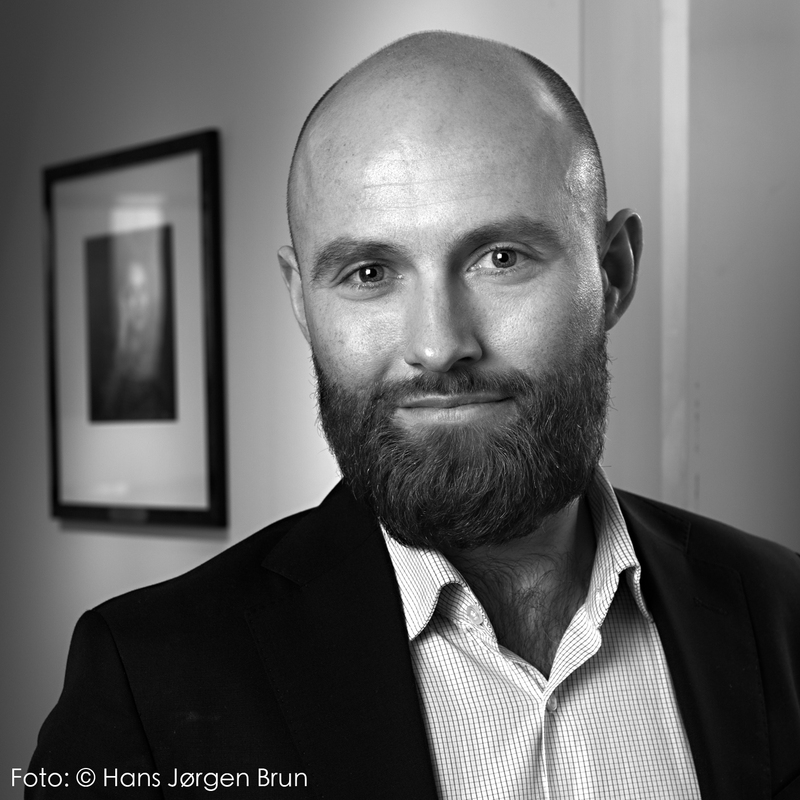 Tell us about Professor Rafto’s work. Thorolf Rafto was a Professor of Economic History at the Norwegian School of Economics in Bergen. He was not satisfied with a quiet and safe academic life. Instead, he took an active role in world issues. He was admired for his unshakeable integrity and devoted much of his life to the promotion of democracy and respect for human rights, especially in Eastern Europe, where he travelled extensively. Rafto was an important spokesman for the persecuted Jews and intellectuals in the former Soviet Union and for political dissidents in other Eastern European countries. He was arrested in 1979 in Prague after holding a lecture for young people who were excluded from the university for political reasons. He was beaten by security police and suffered from the inflicted injuries for the rest of his life. He died on November 4, 1986, 64 years old. His son Egil was a co-founder of the Rafto Foundation. Did he follow in his father’s footsteps? Egil Rafto was a journalist enthusiastically engaged in the struggle for human rights. In 1989, he organised aid shipments to orphanages in Romania, which at the time suffered from very serious shortages of funds, food and the equipment needed to provide decent shelter for the children. He was active in running a number of humanitarian organisations, including the Rafto Foundation. Egil Rafto was also chairman of the National Foundation for Film Production and the Theatre Society of Bergen. 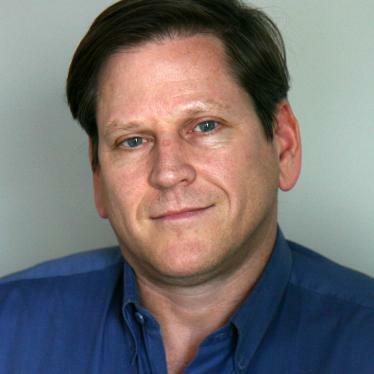 His journalistic work included reporting on news, sports, literature, music and other current events. He also made documentaries about topics such as the homeless children of Brazil. He worked for various media organisations in his hometown of Bergen, and towards the end of his life, for the national broadcaster NRK. He died in January 1997, 45 years old. What strikes you personally as the most important aspect of human rights today? We need to be constantly reminded that human rights are for everyone. If human rights are violated in one sector, for example for a Filipino seafarer on an oil tanker, it is an issue for all of us. If one person’s human rights are violated, and that violation is accepted, we run the risk of having our own rights violated. We are seeing now, both in the U.S. and Britain, and to some extent also in Norway, that when we talk about refugees or fighting terrorism, there are politicians that are more and more openly saying that if human rights stand in the way, then they will set those rights aside. They say it very explicitly, and we the human rights community, need to work very actively to ensure that people who today feel safe in their democracy, their welfare state, are reminded that human rights are in all of our interests. When politicians can explicitly say that they will set aside human rights, and a lot of people feel human rights are about minorities, someone else, we should remember World War II. After the war, there were strong feelings about human rights, because we saw what happens if governments don’t respect human rights. That’s the challenge we will face in the coming years. What activities is the Foundation undertaking to support that view? Our primary purpose is to award the annual Professor Thorolf Rafto’s Prize for Human Rights work. We try and draw attention to the causes our laureates are fighting for, and we try to connect our laureates and create platforms where they can support each other. In some cases, the Rafto Foundation has followed and supported the laureates and the organisations they represent for a decade or longer. 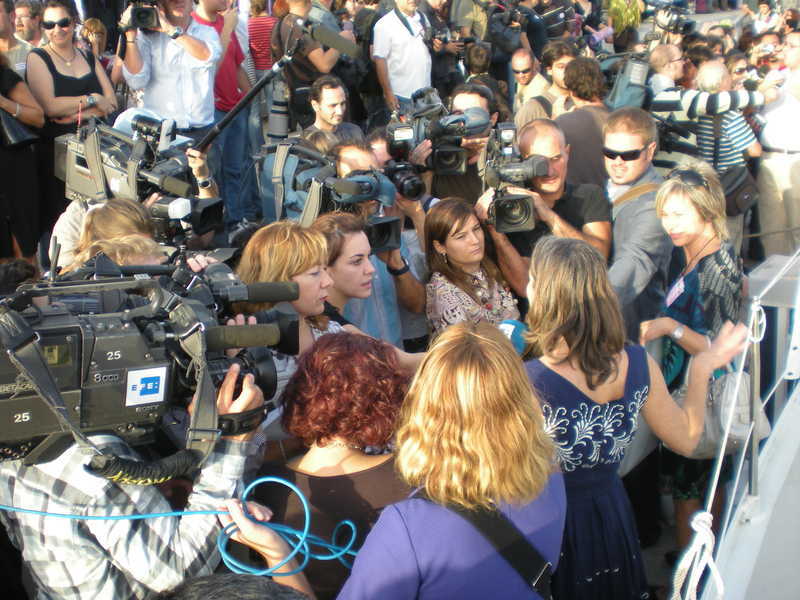 We also offer human rights education to local and international audiences. We currently have about 5,000 students college students taking part in our education programs on democracy, integration and racism. This autumn we are launching a human rights course at the University of Bergen. Additionally, we work on other issues such as freedom of speech which is a common issue for most of our laureates, and we also support female human rights defenders in the Middle East and South East Asia. The projects have all in some way been inspired by or initiated by our laureates. Our prize committee tries to find someone that has not received a lot of awards, someone who is not yet famous and influential. In that way, we try to find somewhere where the award can make a difference, and we commit to working with the laureate for as long as it takes to achieve that. During the first few years, the Rafto Foundation was mainly concerned with the struggle for human rights in Eastern Europe; this was also the main focus for the work of Professor Rafto himself. After the peaceful democratic revolutions that swept over Eastern Europe in 1989, the Rafto Foundation turned its attention further afield. The first prize awarded to a recipient working outside Europe was given to Aung San Suu Kyi of Burma in 1990. 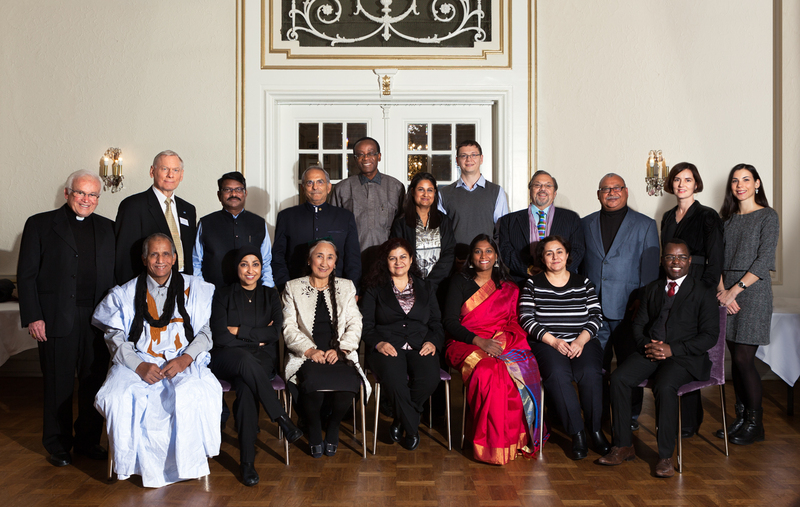 Many Rafto laureates are individuals working for people living in areas strongly influenced by major powers such as Russia, China and India. 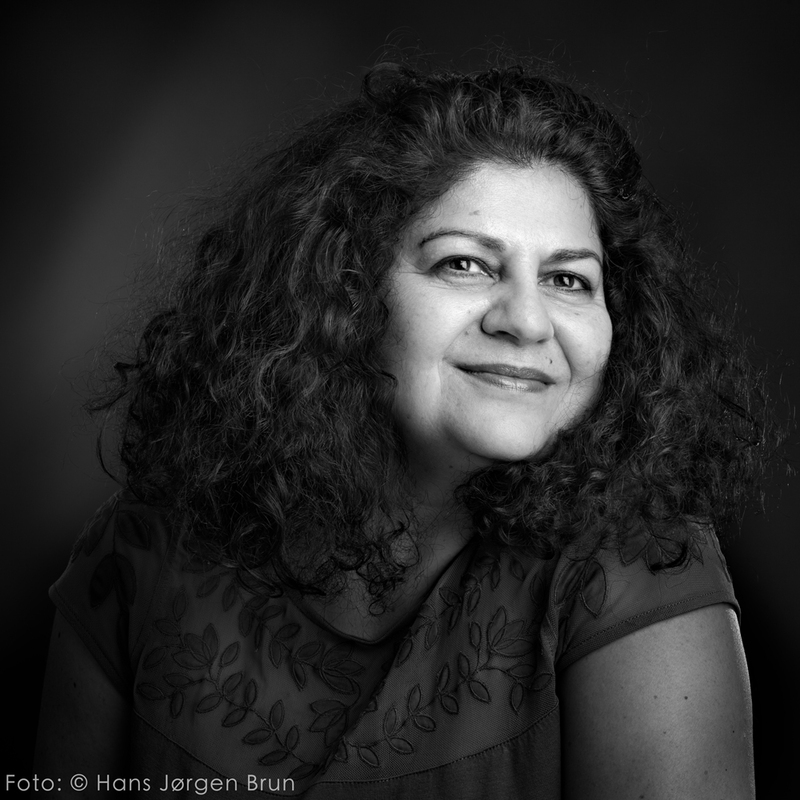 Other laureates have addressed problems that are truly international, such as organised crime in different forms or the plight of the Roma people. The Foundation is based in Bergen rather than Oslo which is home to other human rights organisations. Is that an advantage? In Bergen, we have the opportunity to work more closely with the business sector and academia. We are not so surrounded by all the other NGOs located in Oslo. We are currently working with some Norwegian companies that have a business footprint globally. We are helping them to increase their understanding of human rights issues, and to support that, we are developing a training package for businesses working globally. How did you get involved with the shipping industry? We are working with some of the big Norwegian companies, and we identified the shipping industry as one of the areas that we would like to focus on. Shipping has been one of the big industries in Norway for more than a century, and given we are a small country, we’ve provided quite a lot of seafarers and ships to the world during that time. Today, there are few Norwegians working on those ships, but Norwegian shipping companies are still influential, as are Norwegian investors. What human rights issues affect shipping? Generally, the shipping community has not focused much on human rights issues yet. One of the reasons the shipping industry has made less progress on workers’ rights than other industries is a lack of feeling of solidarity. People don’t know the workers, don’t know where they come from and don’t interact with them much. By nature, they are moving around, which also makes it more difficult for people within the industry to organize on industrial issues. We have dialogue with Norwegian shipowners who were shocked to find out that, for example, there was a case where North Korean slave labour was being used in a shipbuilding production line in Poland; not directly, but via a sub-contractor. We have talked openly about the challenges of this and the lack of information available, and we are very grateful for Human Rights at Sea, as they can shed light on such issues. There are not many other organizations that have this competence, and they have really set the agenda within an area of human rights and business that few others have been able to do. It is very timely, and we want to put pressure on the business sector, so it is important to have such an organization to provide the knowledge and focus within a sector that is lagging behind. Jas Uppal started Justice Upheld after hearing of an Indian national on death row in Pakistan. His desperate family had no lawyer and no paperwork and were rapidly losing hope. Since then, Jas has worked to free people held in unlawful detention from as young as 12 and as old as 76. Those freed are sometimes able to smuggle out a small piece of paper with names written on it – the names of others held in arbitrary detention, sometimes for decades. I’m a trained lawyer. I’m of Indian origin, although I live in Birmingham here in England. After visiting India as an adult, I fell in love with the country. At the time, I was working in the legal department of the police service in England. I was watching the news online about an Indian national who was due to be executed in Pakistan, but his execution has been stayed. I was horrified to find that he came to be convicted on very tenuous, dubious circumstances and evidence. I managed to get hold of his sister. She was campaigning, and I was expecting her to tell me, “I’ve got a team of lawyers.” She had none, and no legal paperwork, but she had kept him alive for 18 years at that point by calling on government officials, Bollywood stars, anyone she could. I informed the U.N., the U.K. Prime Minister and had an online petition. Sadly, the gentleman, Sarabjit Singh, was later murdered in his high security prison. His case was quite controversial over in Pakistan, and I still maintain that his murder was state orchestrated. Did you ever have direct contact with Sarabjit? I was really taken back by that. You don’t say that, you know what I mean? I expected the same action to be taken as if he had been a British or American national. I expected the Indian government to be indignant, to demand access and to ask for court papers. Unfortunately, that just didn’t happen. When he was murdered, then people were interested. The Pakistani authorities announced that they were going to hold an inquiry into his murder. I was invited to Pakistan to attend the inquiry. I made submissions via e-mail instead. Over four years on, the Pakistani authorities have yet to schedule the inquiry. Looking back, a lot more could have been done, and should have been done, unfortunately. Being born and raised in this country, it was surreal, and you realize that you’re blind to the rest of the world. You realize just how fortunate you are. You now dedicate much of your time to the charity. How did your efforts for Sarabjit lead you forward? As a result of media attention from his case, I started getting loads of people contacting me with family members in similar situations – brothers, fathers, uncles – missing for years or even decades. I was shocked. This resulted in a lot of people of being released including a 76 year old man who was in prison for 36 years: Surjit Singh was finally released after 36 years in Kot Lakphat Prison in Pakistan following a dubious conviction in 1976 for spying. He was denied access to legal advice and representation and therefore did not have a fair trial. He was sentenced to death, but this was later commuted to life in imprisonment. In Pakistan, a life sentence is equivalent to 25 years in prison. This means that Mr Singh’s sentence should have been completed in 2004. In another case, a Pakistani reporter, Zeenat Shehzadi, was abducted in 2015. Zeenat was reporting on the case of missing Indian national, Hamid Nehal Ansari who who persuaded by his Facebook friends in Pakistan to travel to Afghanistan and then enter Pakistan -without valid travelling documents. It transpires that Hamid had developed an online friendship with a young lady. 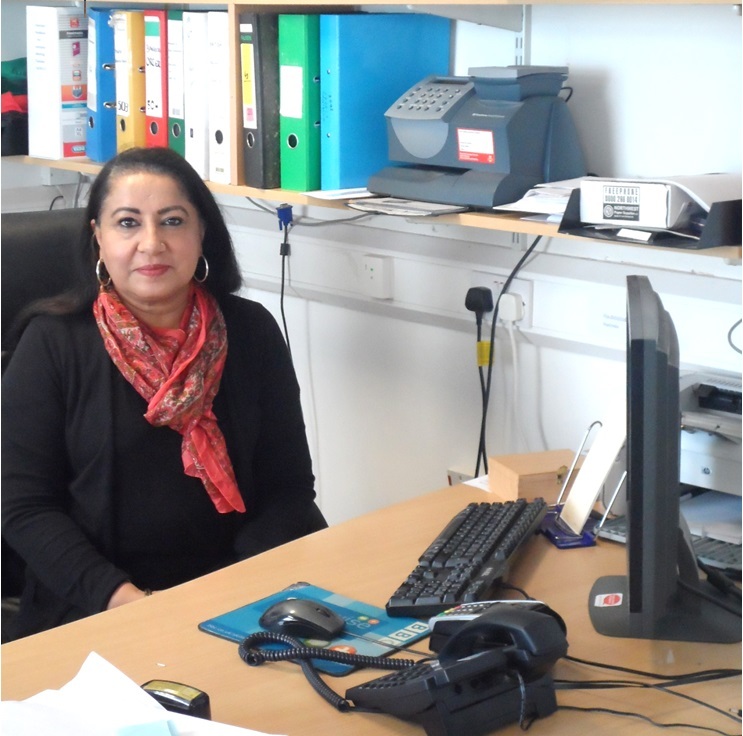 He was persuaded to rescue her from a forced marriage, but this appears to have been a ploy – he was reported to the police by his contacts who handed him in turn to the Pakistani intelligence services. I was instructed by Professor Fauzia Ansari, Hamid’s mother. Pakistan proceeded to court martial Hamid, even although he is a civilian, and thereafter convicted him of espionage and sentenced him to 3.5 years. This was despite the fact that he had already been detained without charge for over 3.5 years. Despite my advice not to involve Zeenat, since she would be placed at risk, Mrs Ansari connected with Zeenat via Facebook and asked her report on Hamid’s case, which she did. Zeenat has not been since her abduction, and the police are no longer investigating. I have reported her disappearance to a number of organisations including journalist’s organisations, however, they do not appear to be interested. Does your work involve people in detention elsewhere in the world? Yes, I am working in the Middle East too. Sukhdev Singh from Punjab who went to work in Oman on a work visa in May 2010. He was employed to work at a prison on Masirah Island in Oman. While there he was approached by a man who recognized him as a Punjabi. The man, about 70 years old, was Sepoy Jaspal Singh of the Punjab Regiment during the 1971 Indian-Pakistani war. He and four others were captured by the Pakistani Army in 1971. Singh said there were two other prisoners of war at the prison. It appears that Pakistan may have moved the Indian prisoners of war to different prisons – outside Pakistan jurisdiction and presumably with the agreement of Oman. 40 years on, both the Indian Government and the international community, have failed investigate the matter. However, the Indian government is coming under increasing pressure to lobby Pakistan for the release of over 50 such prisoners of war held since the 1971 conflict. I’m also currently helping around 50 ladies that are stuck in Oman, definite cases of slavery, and I’ve had cases of both women and men. Their passports are confiscated, and they even refer to their so-called employers as their owners. I have had to tell them: he is not your owner, she is not your owner. You’re a free person. And I find that extremely concerning. It’s not just Indians. It’s Filipinos, Malaysians, and quite a few female domestic workers from Sri Lanka who end up being prostituted. I have helped the ones that come to my attention by reporting to the authorities, making a big fuss and getting on to the missions of the various countries. Why do these people get involved in schemes that lead to slavery? There’s a sort of acceptance, because a lot of them are trying to support their families. They see the chance for work overseas as their way out. I think it’s extremely important that this is stated, because it explains why people are running out of their country for better countries, the western countries or the so-called developed countries. Why the mass exodus? The answer is, it’s lack of respect, process, procedures, in their own country. And slowness in addressing the problems that they have in those countries. For example, quite naively, when people went missing and their relatives contacted me, I would say to them, “You’ve got to begin by reporting it to the police.” They made it sound so difficult, and I couldn’t understand this until I experienced it. There are some very corrupt regimes – you have to bribe to even be able to register police complaints. Even then, action is not guaranteed. How can slavery be so accepted by authorities? It is a reflection of the Kafala System. “Kafala” is an Arabic word which means “sponsorship.” Kafala operates in the Gulf States, and it is unique to these Middle Eastern states, encouraging and facilitating forced labor. The power is entirely in the hands of the employer known as the kafeel. The kafeel can dictate the conditions and terms of work, including the accommodation of the work migrant. There are many cases where the kafeel has, unbeknownst to the work migrant, failed to renew their work visas which has resulted in the migrant being forced to work without being paid for months. They are too frightened to leave the kafeel to report the matter to the police, since the police will arrest and jail them. This often means months and even years of imprisonment. The migrant worker is prohibited from changing jobs, resigning or leaving the country. If a migrant worker leaves his employment, the kafeel has the unilateral power to cancel the migrant worker’s right to remain in the country which will render the migrant worker an illegal immigrant and most likely will result in their arrest and subsequent deportation. The system is archaic, medieval, brutal and is in absolute contradiction of international labor laws and conventions. Indian fishermen sometimes end up in Pakistani territory inadvertently. In one case, a fisherman aged 12 was released at the age of 36. He handed me a note, I’ve got the original, and it lists a number of Indian nationals detained in the Pakistani prison. I referred it to the U.N. Some of those named on the list have been released but not all of them. The author has not included his name; he has been accused of espionage. I am concerned about making it public, since in the last few years, a number of Indian prisoners have died in mysterious circumstances whilst in Pakistani custody. In another case, four Indian nationals were contracted to work on the cargo ship Janan, owned by an Iranian national. The Janan arrived at a Kuwaiti port on May 13, 2013 where the four men and the Captain were arrested for the alleged illegal importation of contraband diesel. The Captain, Masood Khalif, had maintained that the diesel was fuel surplus reserve stock to power the vessel. Three of the Indians remain in detention, one is confined to house arrest, while the Iranian Captain remained at liberty until May 2015 when he managed to leave Kuwait without having to answer the charges laid against him. Despite being subject to legal proceedings, the Indian nationals have not been informed of the charges against them or served with copies of the charge sheets or with copies of the pleadings. The Irainian captain attended all court hearings and was provided with legal representation by the Iranian shipowners whilst the Indian nationals were unrepresented and denied the opportunity to appear before the court to learn of the case against them and present their defense. The seafarers are being pressured by Kuwaiti officials as well as members of the public to convert from their faith to the Muslim faith. Some of these people have shown willingness to help them on the condition that they convert. The men genuinely fear now that the captain has fled (presumably to Iran) that court proceedings will be directed against them. The Indian Mission in Kuwait has failed to provide the men with consular support and legal advice since their arrest in May 2013. Our work on this case continues. Last year’s Zika virus outbreak saw a dramatic increase in demand for safe abortions in Latin-American countries. 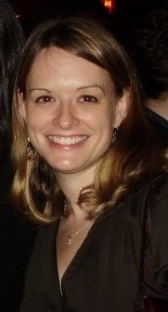 The virus can cause foetal brain developmental problems, and data from Women on Web, an NGO that provides access to safe abortions in countries where they are not universally available, was used to verify the jump in what activists and doctors had been reporting as an acute need for abortion services. The World Health Organization predicts that the Zika virus will affect four million people globally in 2017, but the associated risks are just one of many reasons why a woman may seek an abortion. Women on Web is an extension of the NGO Women on Waves. 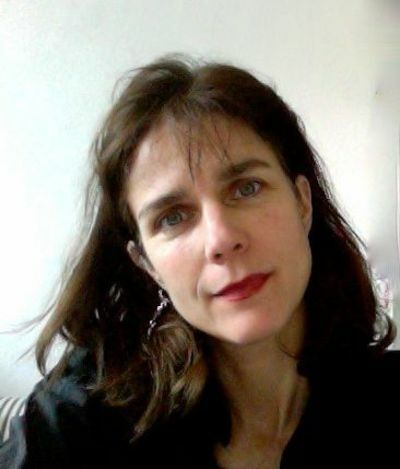 Both NGOs were founded by Dr Rebecca Gomperts with the aim of bringing legal abortions and reproductive health services to women in countries with restrictive abortion laws. 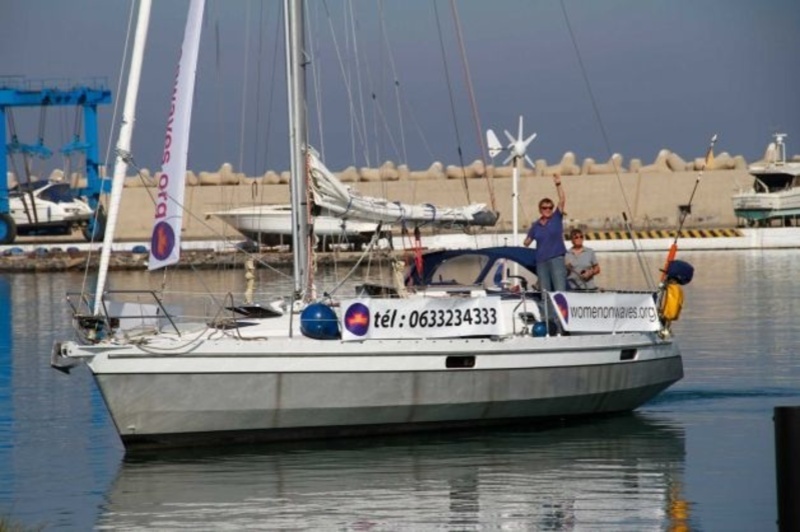 Sailing in international waters gives Women on Waves the freedom to conduct abortions legally, so long as the vessel flies the flag of a country where abortion is legal. The NGO has sailed vessels to Ireland, Poland, Spain, Portugal, Morocco and, most recently, Guatemala. In this South American country, abortion is only legal if the woman’s life is at risk. However, around 65,000 abortions are performed there illegally each year. Human Rights at Sea spoke to Dr. Gomperts about women’s rights and the challenges the NGOs face. How many abortions are performed around the world? There are 43 million abortions taking place every year throughout the world. In the Netherlands and the U.S., one out of five (Netherlands) or one out of three (U.S.) women will have an abortion once or twice in their lifetime. The Netherlands has one of the lowest abortion rates in the world, because there is good sexual education and contraception is widely available. The lowest abortion rate in the world is eight per thousand per year in women of child bearing age. That’s translates to a rate of one in five women having an abortion in their lifetime. It is the minimum rate that can be achieved, because contraceptives fail, and that is the most common grounds for having an abortion in the Netherlands. Women used contraceptives, but they didn’t work. Are women of certain religious, cultural or social backgrounds most affected by lack of access to abortion services? It doesn’t matter what religion or what race women are. What matters is their socio-economic background and whether or not they can afford to have safe abortions. That’s all: in any country, in any religion. The problem occurs when there’s no safe abortion services available. This doesn’t prevent abortions from happening; it just creates social injustice, because the women in the country that have money, that are in higher social classes, that have access to doctors there, are able to get an abortion even though it is very expensive. In Brazil, for example, an illegal abortion with a doctor can cost at least $1,500 dollars. Alternatively, women are traveling to have an abortion. We see this in Ireland. In Northern Ireland, abortion is illegal, so women have to travel to the U.K. An abortion for women that live in the U.K. is free, but it’s not for women who live in Northern Ireland. They need at least 2,000 Euros. So, it’s the poor women, the women who don’t have access to information, who are actually effected by restrictive abortion laws. That is the heart of this issue. An anti-abortion law is not going to stop abortions, and women who have no means or that are poor will suffer from the consequences. They are the ones that will have unsafe abortions if there is no other alternative. In the U.K., as well, there’s many women who can’t get to an abortion clinic. They might be in an abusive relationship, or they have kids at home, they can’t take time off work, they don’t have money for a babysitter, they are in rural areas or they have to travel a prohibitively long way to get to a clinic. How can the situation be changed? Only when abortion is totally decriminalized can all of women’s rights be respected. We are advocating for making the abortion pill available in pharmacies, like Viagra. Viagra is more dangerous to use then the medical abortion pill, much more dangerous, and it’s readily available in pharmacies. Why is a medical abortion pill not available in pharmacies? Because it’s effecting women and not men. This is about equal rights. Medical science should determine how a medicine is available and not criminal laws. How does Women on Waves help women to have an abortion? Our yacht can carry eight to 10 people, and we have many doctors that participate and a gynecologist who often goes along. On board, we have a mobile ultrasound and medicines and all the emergency medicines that are needed. We launch a hotline and announce the service so that women can call and make an appointment. The ship comes into the harbor, the women come aboard, a maximum of five per day, and then we sail out. There is counseling according to Dutch-European standards, and then in international waters, women will take the abortion pill if they still want to. They then go ashore, and we keep in touch by telephone. They can do a follow up pregnancy test or come to the ship for an ultrasound if they wish. The pill can be used safely until 10 weeks of pregnancy. What are the human rights issues relating to the foetus? Women are risking their health and their life to have a baby. Giving birth is one of the riskiest events in a woman’s life. In the Netherlands, 10,000 women die from giving birth each year. In other countries, the number is much higher. Of course, most women want to have the pregnancy, and they want to continue it. But, if you look at the right to life and the right to health of the woman when it concerns the pregnancy, her risk is much greater if she continues it. So, her life has precedence over the foetus, because there is no viable foetus until 24 weeks of pregnancy. If the foetus would be born at that time, it has some chance of survival significant enough for most people to say that this is when the rights of the foetus become important. Then, for example in the U.K. or Netherlands, one cannot choose to have an abortion any more. Do you receive support or at least acceptance from maritime authorities in the countries you visit? No. The port state authorities are quite difficult, although they are often being directed by the government. 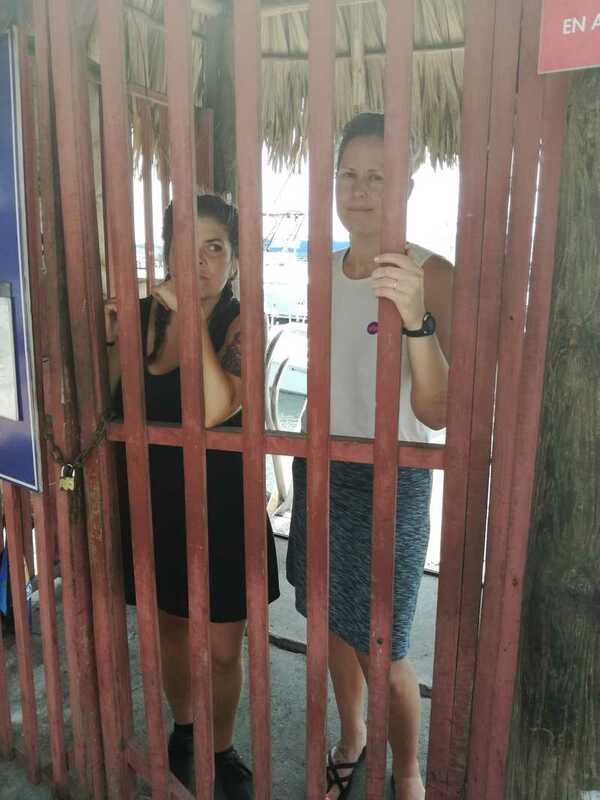 In Portugal, they stopped us from sailing in, and in Guatemala they didn’t let anyone near the ship or let the crew out. The ship was expelled from port for reasons of state security. So, women needing an abortion are an issue of state security? We’ve had a couple of case where navies have intervened. That says something! Why would the military intervene with something that is only about women, her body, her rights, her health? I think that this shows we are actually talking about fundamental freedoms. These government interventions are not physical violence, but I feel like they are a form of intimation which is very violent, especially since the crew and the ship hadn’t done anything. How do you feel about criticism of what you are doing? We get a lot of very grateful women. That’s what matters to us. That’s the only thing that is at stake. Any other actions and opinions don’t really matter. It’s the women that need help. Do you feel safe in international waters? Yes, because the law of the flag state applies. The whole world functions like this, right? It’s part of what the biggest businesses do. We are doing the same as any company would do when they are going to countries, for example, because they have another banking system or other tax laws. We use it for human rights issues and health issues for women, so it’s better. But it’s not a legal vacuum. It’s just different regulations and different laws around the world that we are using to make sure women are safe. There is very clear agreement internationally that, if a ship is in international waters, the law of the ship’s flag applies. The ship is a piece of ground of that country. It’s not like we have no law, rather we have to comply with the laws of another country. China ratified the Maritime Labor Convention last year; Hong Kong is yet to do so. 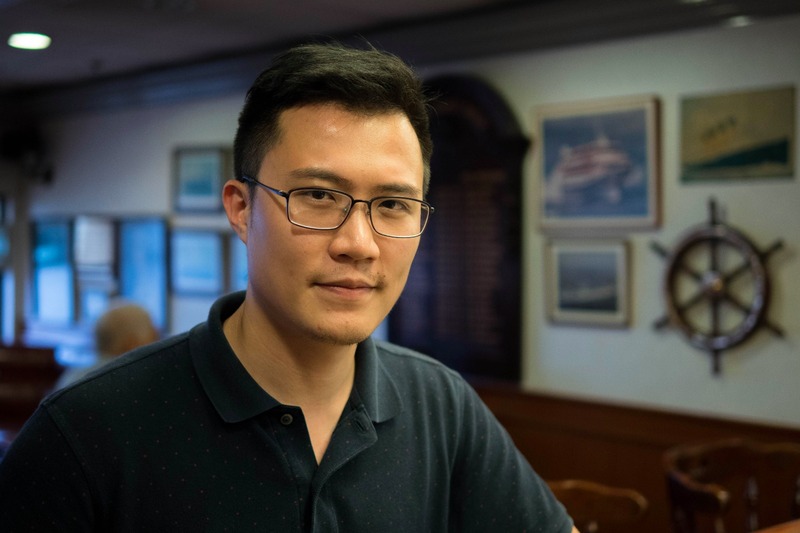 Jason Lam, International Transport Workers’ Federation (ITF) Inspector in Hong Kong, talks about the union’s role in wage negotiations, how the MLC is raising conditions for many seafarers and why others are beyond its reach. What role does the Hong Kong ITF play in seafarer welfare? 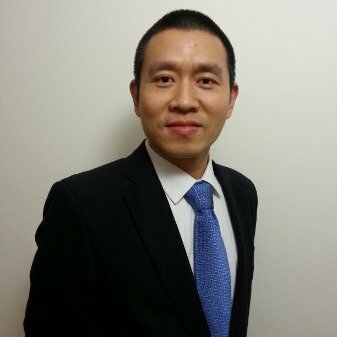 Our office often handles cases in mainland China as well as Hong Kong, as the ITF is not present in China other than in Hong Kong. Our main focus is the ITF flag of convenience campaign that aims to protect seafarers working on ships whose flag state does not offer strong legislation to protect them. The union has set up collective bargaining agreements with willing shipping companies to ensure that crews are paid according to our minimum wage scale and provided with decent working conditions on board. We conduct inspections to check on ships entering Hong Kong and handle any complaints from seafarers in the region, regardless of their vessel’s flag. We have a close relationship with the local port state control in Hong Kong, but as Hong Kong has not ratified the MLC, the port state control cannot do much about seafarer welfare – they are mainly focused on the safety of the vessel. So, the ITF helps in various ways; we try to negotiate with the owner and local authorities. Therefore, the union acts like a middleman between the worker and the employer. Legal action is usually a last resort if there’s really no chance of a resolution by negotiation. It’s always the last resort, because the crew will need to spend more time and sometimes money. Often the ITF will provide legal assistance, but it is a case by case decision. We also work with charities such as the Mission to Seafarers. In fact, we often carry out routine inspections together. Each week the Hong Kong ITF randomly chooses to inspect three or four vessels out of the 100 or more that come into the harbour. The charities go to the ship to provide newspapers, medicines etc while we do our inspection. Sometimes, the charities hear about wage problems first and then share the information with us. Has the MLC had an impact on seafarer welfare? Nowadays, with the MLC entering into force, conditions on many ships, including flag of convenience ships, are much better than before. The most obvious improvement is in living conditions and rest hours. Management give more consideration to rest hours, because it is a serious deficiency if seafarers have had to work too long. Now, proper record is kept, and this is good for seafarers. However, the MLC has not been ratified by all flag states. Hong Kong is one of the bigger shipping registries, but they are still to ratify. And many countries, even if they have ratified, have a long way to go to fully implement the MLC. In our experience, even a ship flagged with a state that has ratified can have problems. How has the prolonged downturn in shipping affected seafarer welfare? We have had more and more abandonment cases and seafarer complaints about unpaid wages in the last six months. It seems to happen cyclically with the shipping economy. There is no particular pattern with respect to flag or owner. We have cases with Chinese owners, Greek owners and owners in the Middle East. Even now in China I am handling a case of abandonment. 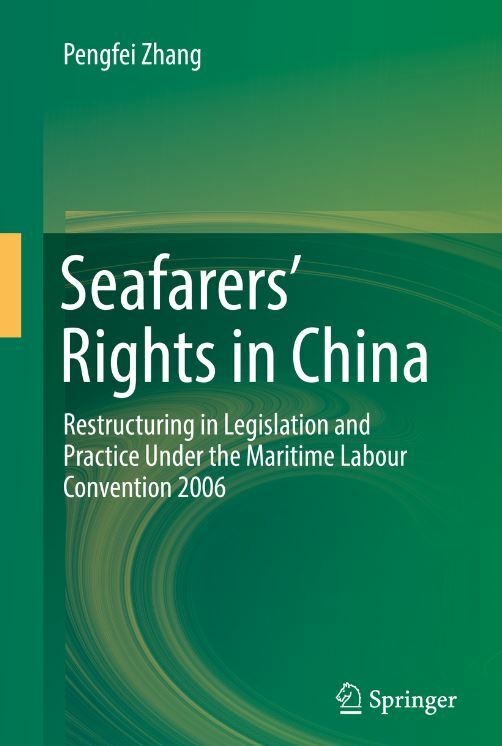 The ship has been in China for quite a long time without the seafarers being paid wages. This owner is from Bahrain. In another ongoing case, the Liberty Prrudentia, the owners are Indian. Yet another ship, the Banco 1, has been stranded for about six years now – it has a Bahrain owner. They change the crew every year, but the current crew have not been paid for a year or more. The master has been there nearly two years now. A few months ago, the crew asked me to start legal action, and the ITF is assisting with a lawyer in China. Some of the crew want to leave, but they are obliged to stay in order to maintain minimum manning levels on board. Mostly, the crews stay on board in cases like this, because they believe they still have a chance of getting money from the owner. This is very common. If the seafarers have not been paid for two or three months, they are willing to wait on board until they realize there is no chance. If they leave the vessel, they have nothing. Usually shipping is a good career, because in many countries, as a seafarer, they earn much more than if they were working ashore. However, if the economy goes down or the company has problems, they can be hurt more, as they are dependent on the owner. They can’t just head home and look for another job – it’s not easy to withdraw their labour. Seafarers on fishing vessels are not covered by the MLC. Are you still able to help them? Not so much, but if there is a complaint we will try and help them through legal effort. It’s not that easy, because proceeds from the sale of a fishing vessel are not usually enough to cover legal costs. The fishing vessels in Hong Kong usually have a Taiwanese or Chinese owner, and, in my experience, most of the cases for compensation are closed through negotiation. I recently handled a complaint about a seafarer from Myanmar working on a fishing vessel owned by a Taiwanese company. The crew had been working on the fishing vessel for over a year and their families hadn’t heard from them and were worried. They made contact with ITF in Myanmar, who then contacted me. I was able to track down the owner, and the company finally sent the seafarers home in May. I received a very happy email from the family saying they had met their brother at the airport. We’ve also had some recent cases of seafarers from Vietnam and Myanmar who were told they were going to work on a large cargo vessel. There was no mention of a fishing vessel, but they ended up on a small boat catching squid off Africa. Usually these scenarios involve very low wages, about $200 or $300 per month, and the living conditions are very bad. The master is usually Chinese or Taiwanese and the crew are from Myanmar, so communication is not good. We received a complaint about a lack of provisions on board another fishing vessel recently. The wages were not paid on time either. We tried to contact the company to make sure the seafarers were at least paid what their contract stated. This type of vessel does not have ITF collective bargaining agreements, so we cannot ask for more. When has legal action been successful? In June last year, after being stuck on board, unpaid, for eight months in the middle of Hong Kong harbor, the crew of the casino ship New Imperial Star headed home, thanks to legal action undertaken with the assistance of the ITF. The crew of 46 are owed $564,000 in back pay and compensation. The case is currently before the High Court of Hong Kong, and it is anticipated that the court will release their wages after selling the ship. The ITF and the Merchant Navy Officers’ Guild-Hong Kong funded an advance on their wages and paid for their tickets home. The case is a success story for us. The legislation in Hong Kong is actually better than in a lot of other countries. We hope to achieve a similar outcome for the crew of the Liberty Prrudentia. This vessel is at anchor in Zhoushan in northern China, and the crew have gone unpaid since November 2016. They have had limited supplies of food and water, and the owner is bankrupt. The Indian embassy have been informed and have arranged visa extension for the crew while we help them make a legal claim. What are the challenges for seafarers looking for help? If everything worked perfectly, there would not be a need for a union. Our role then is if the authorities or owners don’t respond, seafarers will contact us. They find that the union is closer to them, and, in our area, we know better than they do how to contact local authorities. Sometimes they are not aware of legislation that could help them, and often they don’t know how to contact their own embassy. That was the case with the crew of the Liberty Prrudentia, so we contacted the Indian embassy in Shanghai and asked them to help. Do you believe that Human Rights at Sea has been helpful? The case of the Liberty Prrudentia is my first experience of cooperating with Human Rights at Sea. Both Mission to Seafarers and Human Rights at Sea are quite important for protecting seafarers’ rights. If a seafarer has a problem at sea, there is no support, and they need to find a solution by all means they can – the union, charities and the authorities. I think the more options they have, the easier it will be for them to get the information they need to protect their rights. Human Rights Watch published a report in 2010: From the Tiger to the Crocodile Abuse of Migrant Workers in Thailand. Phil is now working on another report due to be published later this year focusing particularly on Thailand’s seafood industry. 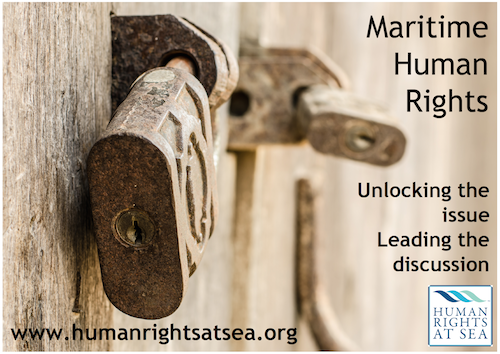 Human Rights at Sea looks forward to its publication. Thank-you, Phil. Ship Recycling: If the E.U. can do it, why not the U.S.? 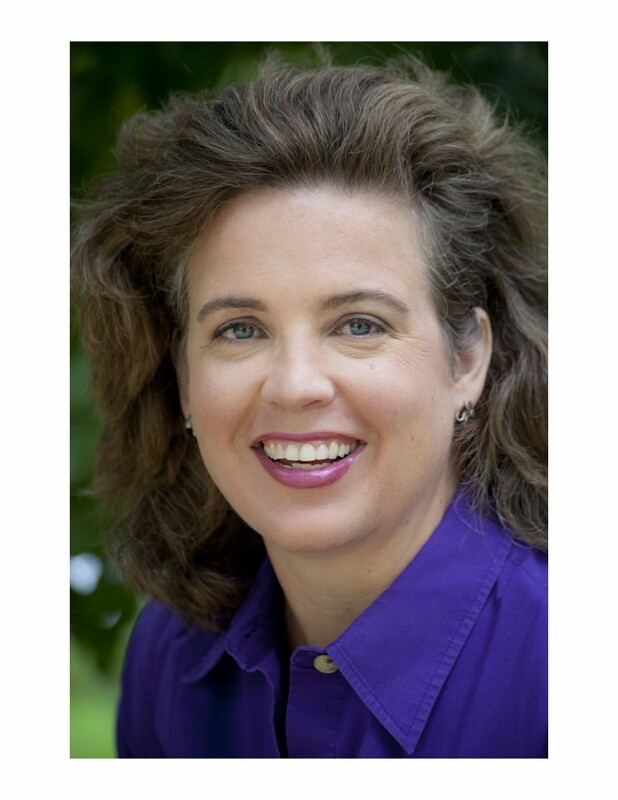 U.S. ship recycling lobbyist, Denise Krepp, says the U.S. is keeping a close eye on the progressive steps that the European Union is taking on ship recycling. The attitude of many in the industry is, if the E.U. can do it, why can’t the U.S.? Krepp, a former U.S. Coast Guard lawyer, is the registered U.S. lobbyist for EMR USA, a U.S. ship recycling company that has facilities in Louisiana and Texas. 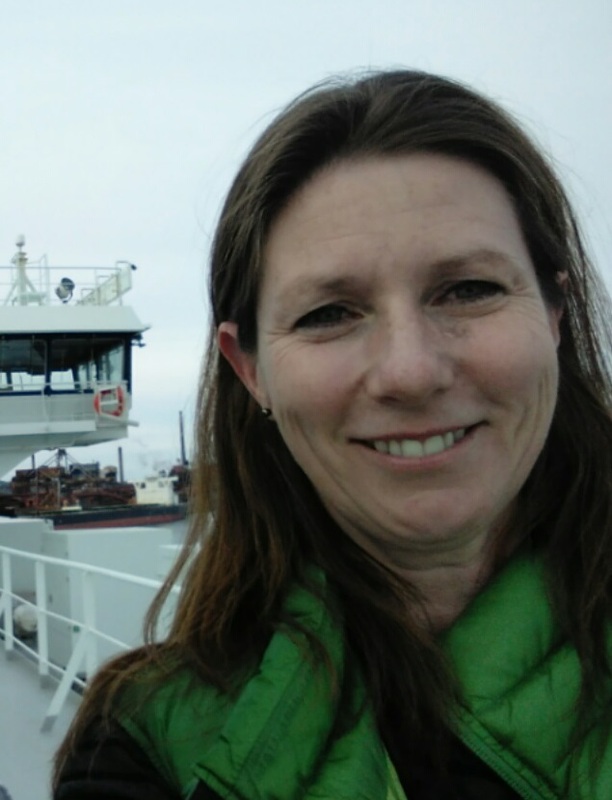 She spoke to HRAS about legislative developments underway in the U.S.
Why is the U.S. taking an interest in the E.U.’s attempt to ensure that shipowners use ship recycling yards that meet specific standards for worker and environmental protection? U.S. ship recyclers are encouraging the U.S. government to support the E.U. proposal to charge a fee for all vessels coming into E.U. ports that will be paid back to shipowners if they recycle their vessels in an E.U.-certified facility. We understand that the E.U. is trying to level the playing field, and if the E.U. does impose a fee on vessels coming into its ports, it will have a ripple effect globally. It will force others to change, which is a positive thing. The Hong Kong Convention is not really going anywhere, and, in any case, it doesn’t prevent beaching. From the U.S. ship recycling perspective, our companies have invested a lot of money in their facilities because they want to protect the environment and they want to protect workers. If they’re at a gold standard, which they believe they are, why should others be viewed at the same level when they haven’t sunk the same costs in? U.S. ship recyclers have applied to be certified by the European Union. Is their focus on the E.U. a case of self-interest? That is part of it. If a U.S. government vessel is to be recycled, then yes, they believe it should be recycled by U.S. workers. A second part, though, is the reason I’ve been advocating in Washington, and that is to remind people that in addition to looking at their carbon footprint, their emissions and their ballast water, they must also remember what happens to their ships at the end of the day. U.S. workers are heavily regulated by the Occupational Safety and Health Administration and the Environmental Protection Agency. We have safety training. We have safety equipment. We have regulations to make sure that the environment is protected. We want our vessels to be dismantled in facilities where workers are protected. Facilities in the U.S. have sunk the necessary costs into their business, because they believe it’s important. What is currently happening to U.S. government vessels that are recycled? Ship recycling in the U.S. is a mess. The Federal Property and Administrative Service Act of 1949 states that the Maritime Administration (MARAD) should serve as the government’s disposal agent for obsolete government vessels that are over 1,500 gross tons. Sadly, the General Services Administration (GSA) ignores the act and instead auctions off vessels haphazardly. As a result the U.S. Merchant Marine Academy, the state maritime schools and the thousands of maritime historical organizations throughout the country suffer because, when MARAD disposes of vessels, these entities receive a portion of the proceeds. When GSA usurps the process, none of these educational entities receives the funding for which they are eligible under federal law. The Ships to Be Recycled in the States (STORIS) Act was introduced in the 2015-2016 cycle of Congress. What does it call for? The STORIS Act gets its name from the former Coast Guard Cutter Storis, which was dismantled in Mexico in 2013 through a GSA contract, in violation of the current law. People are frustrated by that. They’re very frustrated by that, so Congress wanted to remind the U.S. government that its vessels should stay in the United States. They wanted to make sure that MARAD, which by law already has the authority to be the disposal agent, is actually the disposal agent, and that other agencies recognize that. The STORIS Act strengthens oversight of MARAD’s domestic ship recycling program and promotes transparency by requiring reports from the agency and an audit by the Government Accountability Office. MARAD receives millions of dollars in federal funding but currently does not disclose how the money is spent or how the agency awards contracts. The other interesting part of this legislation is that the government is supposed to come up with a list of vessels that are going to be declaring obsolete. That is expected to include everything from MARAD vessels to vessels owned the National Oceanic and Atmospheric Administration, the Army Corps of Engineers and the Fish and Wildlife Service. Many government agencies own vessels, and Congress wants to make sure all of these vessels are recycled in the United States. It has directed MARAD to come up with a list, working with all the government agencies, of all the vessels, and then come up with a plan for how all these vessels are going to be disposed of. Is there any doubt that the Act will be passed? The National Defense Authorization Act has been passed by Congress every year for over 50 years now, every year. Chairman Thornberry, who’s Chair of House Armed Services, and Chairman McKeon from the Senate have both been very forthright in saying they’re not going to be the ones that don’t pass this legislation. They want the trend to continue. Parts of the STORIS Act were included in the National Defense Authorization Act for fiscal year 2017. The full bill will be voted on in both the House and the Senate and then passed up to the new President for final authorization. What then? We were focusing on government vessels this Congress, and then commercial vessels will be the focus for next Congress. The push will be to ensure that any vessel that is financed, subsidized, or chartered by the U.S. government is recycled in the United States. When I’m talking about chartering, I’m talking about the Department of Defense charters of foreign-build vessels. They reflag them into the U.S. fleet, and then they charter them. In a couple of instances, they have specifically named these vessels after U.S. Medal of Honor recipients, and then they’ve turned around and let them be dismantled in foreign facilities. It’s the position of the U.S. recyclers that if you’re going to name a vessel after a man who has died in service of his country, then the vessel should be recycled by U.S. workers who have made the investment and are keeping the environment clean, not in a foreign facility that’s not operating at the same level. At present, there are only 83 blue water vessels left sailing under the U.S. flag, of which 60 participate in the Maritime Security Program. Each one of these 60 vessels receives $3.1 million per year to participate, so the argument is that if the U.S. government is giving a vessel owner $3.1 million per year for up to 25 years, then those vessels should be recycled in the U.S. Does the legislation cover human rights issues? No, not yet. Not yet, but next Congress we’re going to be talking about it. We’d like to talk about some of the corporate social responsibility issues that have been raised in the E.U. Can you tell us about EMR’s Brownsville yard located in the poorest county of the U.S.? Firstly, it’s clean. It’s laid out with concrete; there is no beaching, and the company prides itself on providing a livable wage for its workers. It also makes sure that its workers have what they need to be productive and comfortable. Brownsville, Texas, is really hot, and as one example of the company’s efforts to care for its workers, it has developed an air conditioned suit that workers wear when they are out in the heat of the day. The company is also very respectful about preserving the history of the naval vessels that it recycles. Parts from some of the ships they are being recycling at present are going to be donated to museums. Additionally, in the United States, we have a Library of Congress Veterans Oral History Program so that veterans can share their memories about these ships. When EMR was awarded the contract for recycling the Independence, an aircraft carrier that participated in the Vietnam War, we received an email from a woman who said that three generations of her family had served on the vessel. EMR has planned a ceremony prior to the vessel’s dismantlement that will allow veterans one last look at the ship they served on for so many years. Veterinarian Dr Lynn Simpson is a veteran of Australia’s live export trade and a veteran of Red Sea and Persian Gulf voyages delivering sheep and cattle to the Middle East. She speaks to HRAS about her experiences sailing with a mix of cultures on board through regions where their countrymen were at war. What cultural issues were there with a mix of nationalities on board the livestock carriers you worked on? It used to be quite tricky sometimes if you had a Muslim crew and we would trade with a country like Israel. There would be Palestinians on board who obviously had a deep-seated problem with stepping on what is considered Israeli soil. I had Palestinian officers who were lovely, they were really rational, they would speak to the Israelis who’d come on board for work, and they would be very professional. But you wouldn’t get them to step off the gangway; no way. We might be on a voyage where we go to Saudi on the way up the Red Sea and then we go into Israel. So you go from the extreme of Saudi’s Muslim culture to Israel. I was a spectator, but I’d try to calm them down, because they get fired up. Saudi is interesting because it doesn’t seem to have offered much support to the Palestinians, in the Palestinian’s view. They were often angry in Saudi about that, and then we’d get to Israel and they’d be angry about Israel. Once you get them out to sea again, everything was fine. We’d even been boarded by the Israeli defence force a couple of times. The captain had to stay on the bridge. The chief officer had to stay in the engine control room, an armed guard on each of them, and the rest of us, about 80, were bunched up in the forecastle; three guys with I think M16s pointed at us in the 43 degree heat. They held us there for a couple of hours, and they taunted us. “Sit down! Stand up! Sit down! Stand up! Sit down! Stand up!” You’re sitting on a scalding hot steel deck. They eventually took us single file into the accommodation and sat us all down on the floor in a room, taking us out one by one to interrogate us – just intimidatory tactics. It not a normal occurrence but, it’s happened more than once. It’s a complete nuisance and welfare risk when you have tens of thousands of animals to care for. Did you have other encounters with the military? We were going through the straits of Hormuz one day in 2003, during the second Gulf war, and we had lots of military aircraft and warships around. One time I had a chopper hovering at the side of the ship, watching me kill sheep, only metres away. I still remember the stunned expressions on the pilots’ faces. I don’t know how many they’d watch me kill. I think I had about 20 that I had to dispose of because they were considered diseased with “scabby mouth” and we needed to get rid of them before our first port. I looked up and saw them, but I couldn’t see any insignias on the chopper, so I didn’t know who they were. I didn’t care. I could see the guns pointing at me, and I just disappeared into the ship. Working in a war zone is always a depressing and potentially dangerous thing. As a seafarer, you don’t always know where you’re ship’s going to go, you sign up to the ship, you sign up to go wherever it goes. Sometimes, cultural differences led to victimization on board. What was your experience of this? Actually, I didn’t realise how quickly my veterinary skills would get sidelined a little bit. I needed to know more about culture, religion and politics to be able to get my job done properly through the day. So, for example, I had to learn all about the Indians essentially giving Bangladesh independence, but from a Bangladeshi point of view, they just gave them swamplands. Then there’s the cast system, and the Bangladeshis are very submissive to the Indians. One company I worked for had Indian officers and Bangladeshi crew, and at one stage we had a Pakistani captain. The three just didn’t mix, and it was just awful, to the point that I could see very clearly that the Bangladeshis were all tremendously miserable. On some voyages, we’d be going through the Persian Gulf in the middle of summer, 55 degrees, humidity in the high 80s, low 90s and this one captain, turned the air-conditioning off in the accommodation. It was an old car carrier, so, it was just one long accommodation space, but he turned the air conditioning off from where the officers’ space stopped and where the crew started. Not only did the crew have to work down on decks which were stinking hot and full of ammonia gas and CO2 all day, but because the animals generate their own heat there was added heat. The crew would come up for their so-called respite at the end of the day, and there was no air conditioning. Some slept on open decks under the stars, still hot, but sometimes they caught a breeze. Why did the captain do that? Because he was a jerk. He was just a complete jerk. I think the captains are the linchpin to welfare at sea. If you’ve got a good captain who’s got a decent sense of a moral compass, you’ll find the crew are generally looked after and much happier and easier to work with. You get a better outcome for the ship and the company and the animals. If you’ve got a captain that’s for some reason a pain in the neck or a power-tripper, it can be quite difficult. The captains who caused the greatest difficulty to management and animal welfare were generally relief captains who did not understand how different a livestock carrier is to manage compared to a non-live cargo. The stress levels are through the roof for them, and it was rare that they would return: thankfully. They were usually so stressed they made life difficult for both the crew and the livestock. If they had the sense to put their pride aside and take advice from others on board, they coped, but were a rare breed, and are to be commended. The experienced and competent senior officers on a livestock ship are cool under pressure, respect input from people with differing training and expertise and would likely find a “normal” ship boring. I’ve sailed with and learnt so much from some great seafarers. I’ll always be grateful to them. How did conflict at home affect crews? On most of our ships, we didn’t have internet access personally, so communication with home was a difficult thing. Satellite phones are way too expensive for crew to use too often, but when we pass close to land or join the convoy to go into the Suez Canal, there’s a window of connectivity, and everyone’s phones go crazy. Usually news from home brings on a mixture of smiles and melancholy. One time, there was a lot of Pakistanis on the phone for the whole canal transit, a lot of worried faces, and as we came out of Port Said one of our older crew members went down the gangway and off the ship into a small pilot boat. A few people waved him goodbye. One of the crew members told me: “He’s going home. The Pakistani government has bombed our village.” Most of the crew’s houses had been bombed, 80 percent were either destroyed or wrecked in some form. The man taken off the ship’s entire family had been killed, and no one had the heart to tell him; they apparently just told him his wife was sick in hospital. Then we had to forget our land lives, or deaths and continue to tend the animals. There is no option to slow down and grieve on a live export ship. What impact did cultural difference have on shore time? When crew go into port in different countries, especially westernised countries, if they’re associated somehow with the live export ships, there’s every chance that they’ll be vilified and possibly verbally attacked about animal welfare issues. But the converse side to that is a lot of them don’t get shore leave and if they do, it’s only for an hour or two. So the fact that they’re exploited to the level that they get bugger all short leave protects them from being vilified by people who know what’s happening to animals as a result of the trade, but don’t understand the physical and personal sacrifices these men make everyday of their contracts to provide care for the animals. The crew don’t understand why they are being cursed at, I tell tem when they ask me that people don’t get the real facts, don’t take it personally, ignore them. I know this well, as this happens to me too, even to this day. I was teaching quite a few of the crew English, just casually on deck every day, in return they would teach me some Pashtun or Arabic. I’d have a few of them come up to me and go, “Oh, doctor, doctor, I have this word. Can you please explain the meaning and how to say it properly?” and they’d just give me a little piece of paper. Each day I’d have a discussion with them, and they wanted to practice their English. It was nice. At one stage, one of the loveliest captains awkwardly called me to his office, and he says, “Can you please stop teaching them English?” and I’m like, “Yeah, okay. Why?” and he says, “Because we’ve had too many crew jump ship and leave.” I said: “Oh, okay. I didn’t put that into their head. They weren’t asking me, “Where is the train station?” It was an awkward situation and conversation to have because so many of them were jumping ship in Fremantle, Australia. After that, they didn’t get shore leave in Fremantle. AFFECTED BY THIS STORY? 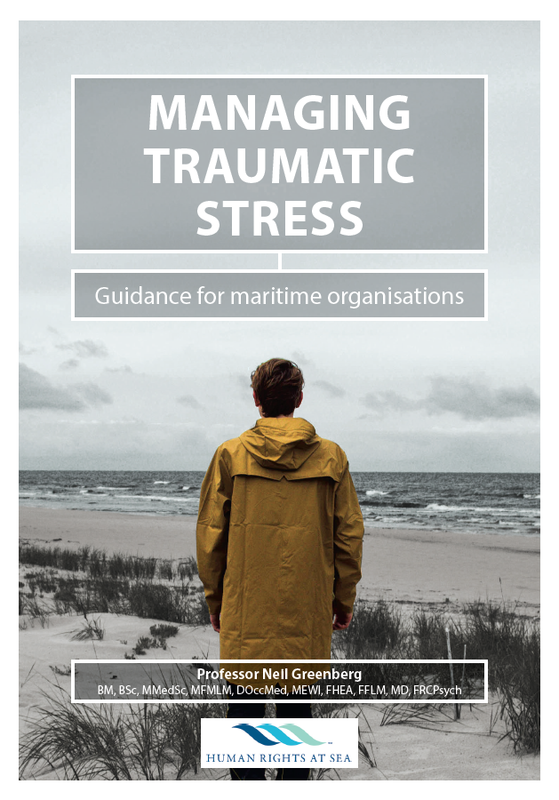 Review our Managing Traumatic Stress publication here or go to our publications page to review all our free publications for download. Hard copies can be purchase from The Nautical Institute here.